New MAP Sewer capability speeds up the creation of the simplified sewer network models that we use to deliver near real time predictive modelling of the sewer network. The creation of the simplified hydraulic models in MAP Sewer is a process that we have been working to improve so that we can rapidly create new models for new catchments. 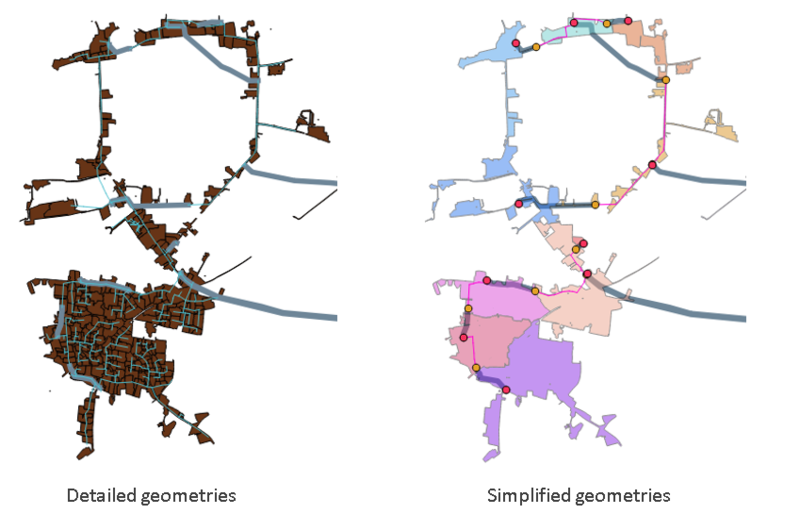 We have now automated the process of creating the main simplified model, and all the relevant geometries, from the detailed GIS layers that make up the ‘standard’ detailed models used by most water companies. Once this is done then we can add some of the pumping attributes to the Pumping Station and Detention Tank geometry files and then load all the files into MAP Sewer from the dashboard. MAP Sewer then creates the geometries in a few minutes and the whole catchment is calculated in 20 minutes – this includes over 2 years of historic data all at 5 minute periodicity. We can now start to validate the model and to feed it with real time and forecast rainfall data.